As 2011 arrived, we have switched the look of the front page. As social networking becomes more popular we wanted to incorporate that into what Short Track News already does. We now have a TWITTER feed, a FACEBOOK feed and our YOUTUBE channel is now posted for all to see. 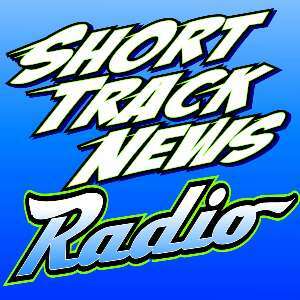 The biggest addition in 2011 will be the creation of Short Track News Radio. We've wanted to do this for awhile and after gauging interest from hundreds of local race drivers, crew members and fans we feel the time is right to do it. In a nutshell what we will be doing is broadcasting an hour long show once a week during the off season on the internet. During the race season we will go to a two hour show. This will be done on Monday nights starting at 8PM Central time. This show will cover local racing in the Midwest & Chicagoland area. Not only will our staff talk about local tracks and series in this area, but we will be able to have drivers, promoters and series owners call in and discuss things and be interviewed. We will also have a segment in the show where fans can call in as well. We have also scheduled a second one hour show on a different night called "Remember When" that talks about racing in general. This will be a show that focuses more on the "good old days" of racing where we talk to not only former drivers but fans as well about old tracks no longer with us (Raceway Park/Santa Fe) anymore and stuff like the ARTGO series. We will also have an archive section where you can go back and listen to old shows you have missed. We believe in this and really think positive things will come from this. That being said we are looking for supporters to help us get this off the ground. We are offering our best deal ever on advertising. Advertising with us gives you the exposure you need. The exposure the side of a race car or ad in a race track program can’t give you. It’s gives you 24/7/365 exposure on our website and weekly exposure all year long (even in the off season) on our radio show. Anyone that signs up by May 1st will get a banner ad on the front page of our website for one year. If you have a website it will be linked back to your site. You can create the artwork or we can do it for you. You will also get 1 commercial a week (52 total) on our radio show. You can write the copy and record it yourself or we can, whichever you prefer. We are offering both for the low price of only $350 which is less then a dollar a day. And as a Special Offer the first 10 people to sign up will have their business as a “featured” advertising segment on the radio show. We have many options to choose from. We're excited about this project and we hope you are to. Any questions please let me know.